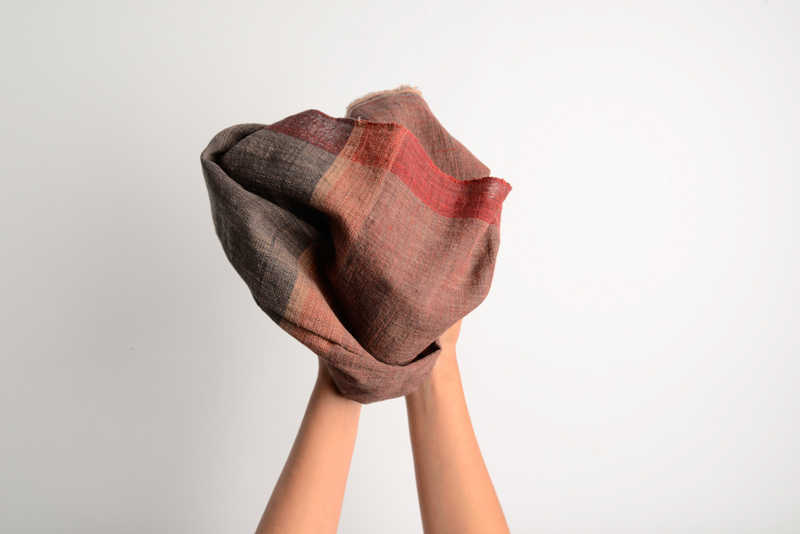 As she prepares to take part in this year’s MA Summer Show, we spoke to Prerna Gupta about her experience of studying MA Textile Design at Chelsea, working with Indian craft communities and her desire to save traditional working methods. Tell us about your work over the last year. My project started out as an attempt to conserve Indian handicrafts that are on the brink of slow extinction. The research that formed the premise of my work brought to light several political and socio-economic issues plaguing the country’s crafts, including an article that talked about India changing its position from being one of the world’s largest exporters of cotton to now being a cotton importer. This came as a huge shock to me, knowing how deeply cotton is woven into the country’s history. Further research into this issue led me to finding out that 97% of the cotton grown today in India is from genetically modified species and that all the native strains of organic cotton which had been grown in the country for centuries before independence are now relegated to a mere 3% of our cotton cultivation. In collaboration with a craft initiative in Kachchh, I have been working with Kala cotton, an indigenous strain of organic cotton resistant to pests and purely rain fed, which saves close to 1,400 litres of water, the amount that is ordinarily required to grow 1kg of cotton. 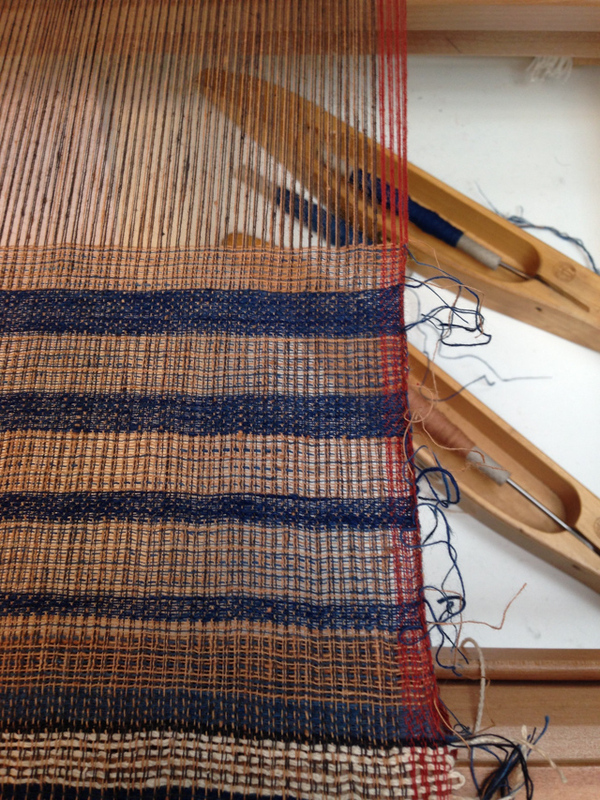 Learning how to weave with the yarn myself, I had gone back to Kachchh with my woven samples, to engage with the local weavers and develop larger pieces as part of a new collection of Kala cotton textiles. 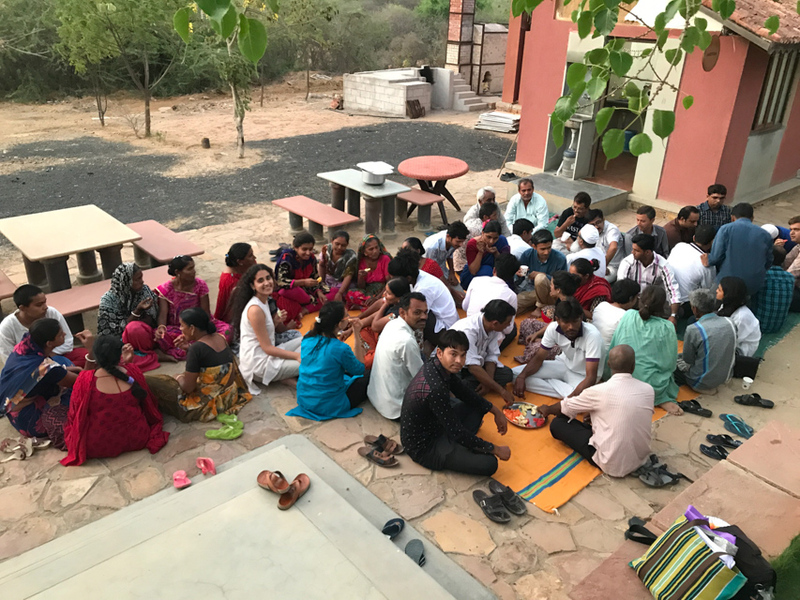 Working with them in Kachchh, I was able to expand their skills at the same time as testing new ideas by building on traditional techniques and processes. The aim of my project has been to use Kala cotton as a versatile and relevant substitute for GM cotton and in turn, provide viable opportunities for the farmers and weavers in Kachchh. Tell us about your work for the final show. My work for the final show is as much about the process of working with the craftspeople in Kachchh as it is about the final woven Kala cotton pieces. There are two Kala cotton saris that were woven by the weavers in Kachchh, which are based on samples I developed while I was there. I have also made a film, which was shot whilst I was in Kachchh. 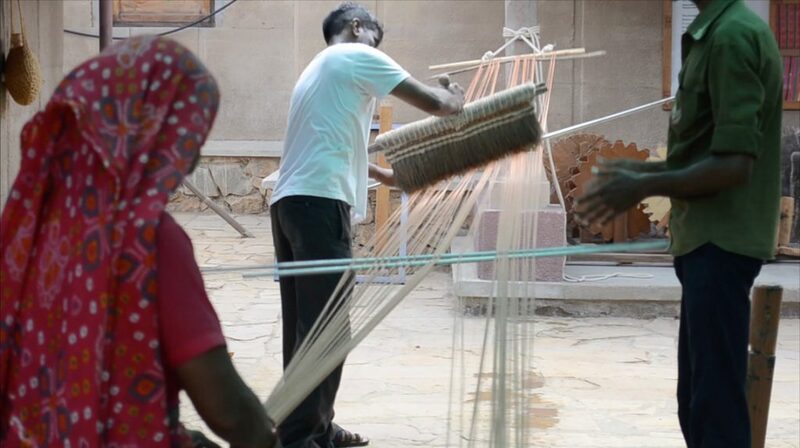 It’s a documentary of the processes that go into making the Kala cotton fabrics, from ginning and spinning Kala cotton, to the natural dyeing of yarns, to preparing wheat starch for sizing the warp to the final stage of weaving. 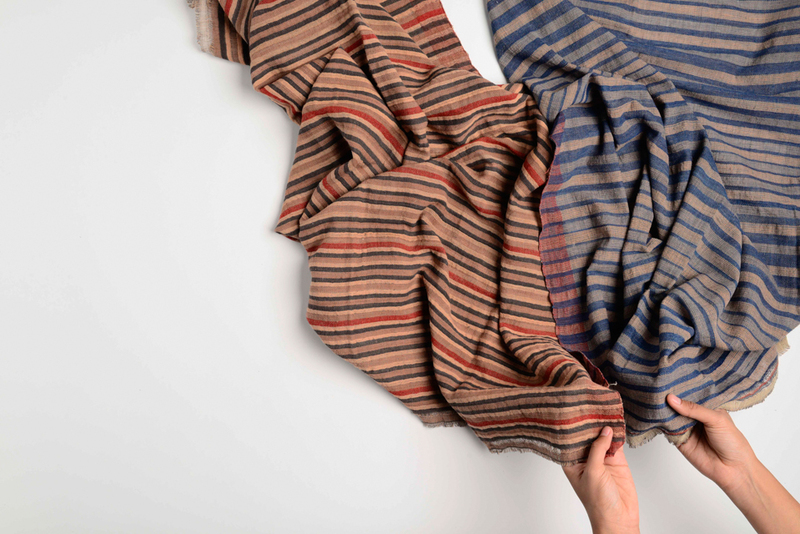 The film will accompany the woven textile pieces as an important insight into how handwoven cloth is made and hopefully encourage the audience to value handmade clothes and their makers to a greater extent. What was the greatest challenge during the project? The greatest challenges have been working with the craftspeople, both in Kachchh and overseas from London. Language barriers, intermittent network issues in the villages, social obligations and rituals that take precedence over work – these are just some of the many difficulties that I faced. Also in terms of the weavers, both their understanding of what I wanted and the execution of new ideas was much slower than I had anticipated. This aspect of the project ended up changing the entire plan. I couldn’t finish getting my pieces developed in the time that I was there and had to come back to London and coordinate the remaining work via phone calls and WhatsApp messages. I have always wanted to work with Indian handicrafts and craft communities and through this course at Chelsea I have managed to work on a project that has helped me focus on the sustainability of Indian crafts. I see myself working with organisations across India to help revive the forgotten strains of native organic cotton as a consultant, designer and facilitator. Like the value chain created between Kala cotton farmers and weavers in Kachchh, I believe a similar system can be implemented for all the other strains of cotton in India, thereby reducing agrarian stress and debt-induced farmer suicides that have been a result of growing GM cotton. I believe awareness is the first step to being sustainable and I want to increase mindfulness amongst Indians about the environmental and social implications of their consumption choices. I really enjoyed and, more importantly valued, the freedom that Chelsea offers each of its students. The tutors allow students to pursue their individual styles, aesthetics and ways of working. I was given the space to direct my project the way I wanted and all the advice offered to me along the way has been given keeping in mind my strengths and passions, which I think is absolutely wonderful! I also really liked how non-competitive the course is, which I believe is an essential environment for different people to grow in positively. There’s an emphasis on peer-to-peer learning and everyone ends up taking and giving honest feedback, which is really appreciated. This has also helped us form very strong friendships and that’s probably the best takeaway from the course. I love the area around Chelsea and found accommodation across Vauxhall Bridge, which allowed me to walk to college every day. The 20 minute walk along the river to and from college has been so therapeutic for me and has helped me de-stress from all the work pressure. I have made good use of my complimentary Tate Britain pass as a student of Chelsea and also visited the many museums that are so conveniently located from Chelsea, be it the South Kensington museums, Tate Modern or the Fashion and Textile Museum.